My very first jewellery project was a silver hexagonal box made on a jewellery course while still at school (quite a long time ago!). I still find it difficult to believe that I undertook such a challenging project for my very first piece, but certainly that fuelled my ongoing passion for these lovely tactile things. These tiny micro boxes, mainly pendants, are my latest obsession. 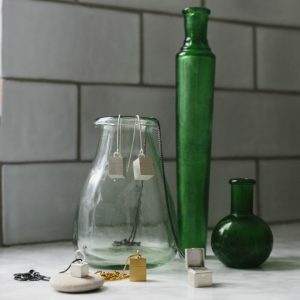 They are all handmade and all different, so this is just a small selection of whats available! If you want to see other boxes I have currently available that haven’t quite made it to the website yet, then please contact me using the contact form. I can then send you snaps of what else I have available! Also if you see one you like here and its out of stock then again please contact me as I can always make you one similar. 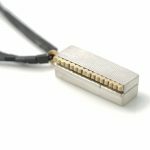 The latest in the microbox pendants. 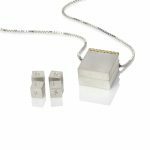 This has an inlayed square rim of 18ct white gold set into the front of the silver box and a flush set 6pt princess cut diamond. This tiny little box with a working hinged lid is my latest labour of love and shuts with a satisfying click! 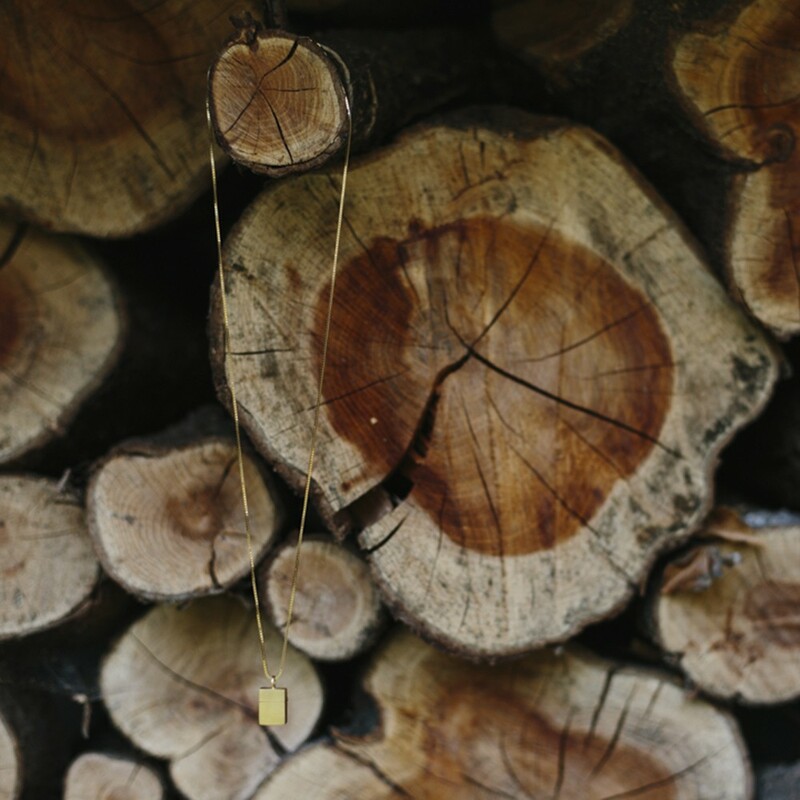 Keep something very small and very precious inside, the question is what will it be? 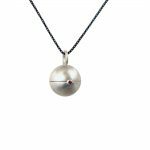 It looks great on this simple silver torque however it could be changed to be worn on a long or short chain of your choice. For sometime now I've been meaning to develop a microbox at a slightly more affordable price. You may disagree that this is an affordable price but it's the best I can do! I've used a slightly different process to make this microbox (available in this size and shape only) but it's still a labour of handmade love, with a hinged lid and textured top and bottom. 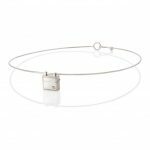 This shape of microbox sits well on both a short and long chain and sits flat against the body. When ordering please state the message you would like to include (there is a notes section at the checkout). 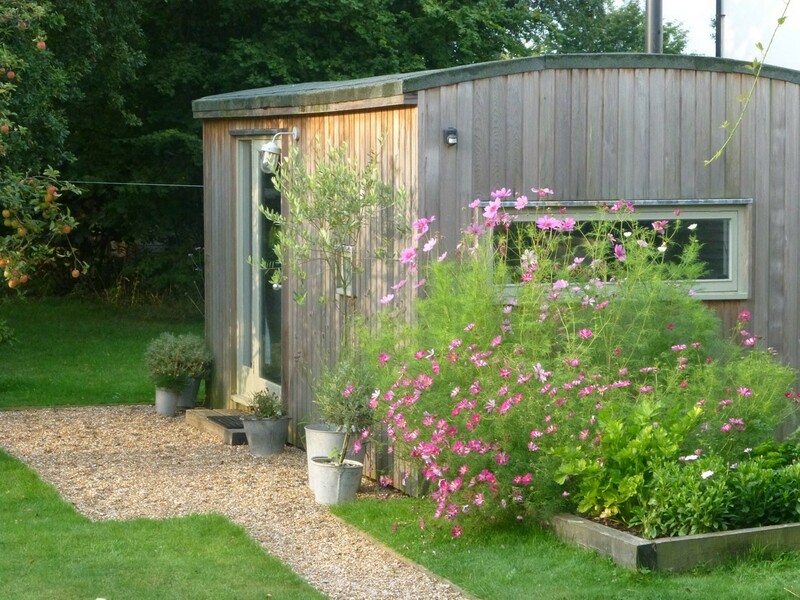 Keep it very short as the box is tiny, one or two short words or a date. 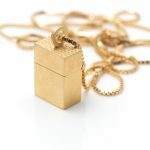 A gold vermeil microbox pendant (gold plate on silver) with a hinged lid on a 60cm gold vermeil box chain. The box has a textured top and bottom both on the outside and inside. This flatter shape means the pendant sits well against the body. All the micro box pendants are hand made from sheet metal so each is unique. This actual pendant has been sold but I've made a very similar one, dimensions below are for the one available to purchase. 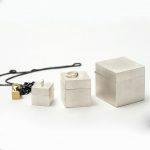 e.
A set of four, unique handmade silver micro boxes that fit inside one another, the smallest a solid 18ct gold cube. 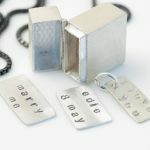 Three are pendants and the largest a box to contain all or as a stand alone box. 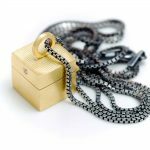 Available with a silver chain of your choice, shown here with an oxydised silver box chain. 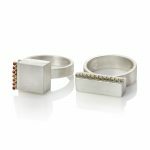 Each box has a beautifully textured top and bottom and a hinged lid. This silver micro box pendant was the first in the series, before I decided that there was just something very special about the boxes with hinged lids. So why not grab yourself the one that started it all! Despite not having a hinged lid, the lid fits tightly on ensuring it won't come away from the bottom while you are wearing it. 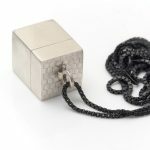 It has a large honeycomb texture on the top and bottom and is sold with a silver chain of your choice. 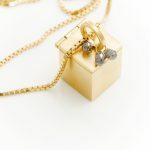 Silver micro hinged box pendant approximately 12mm cube with the addition of an 18ct gold disc. 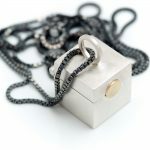 Shown here on a long (60cm) oxidised silver box chain, but also available on other chains. As each box is hand constructed from sheet metal, each is unique.